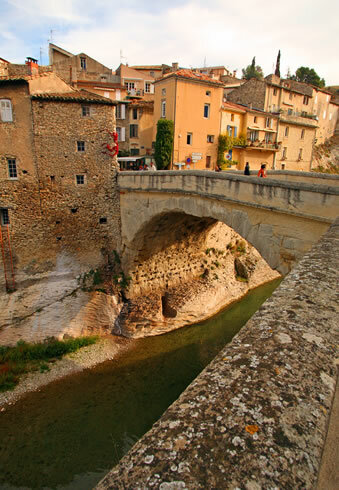 The tiny town of Vaison La Romaine benefits an extraordinary antic and medieval heritage, especially its Roman bridge that bounds the upper town to the center. The 2 000 years old building has been build over the river Ouvèze. It has been registered in 1840. Despite the centuries, the bridge is still in a remarkable state of conservation. This bridge is still in use. Jail, hospital and a place for culture, this building has had many purposes since its edification in 1670. The old Charité is built with white and pink stones. The 3 story building has a U-shape which includes a chapel in its center. The Chapel has a characteristic baroque dome. 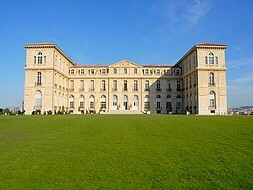 The building is located in the Panier neighborhood the cultural and touristic parts of Marseille. 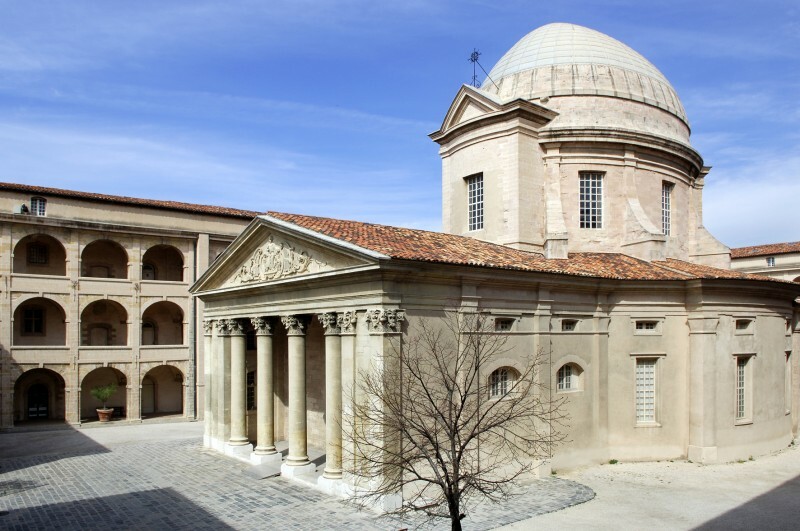 The inhabitants of Marseilles primarily knew this superb building as a congress center. But the emperor Napoleon III originally wanted to build himself a home directly to the sea. Therefore the construction started on august 15th 1858 on the Emperor’s day. Starting July the 4th and until August the 1st, the daily newspaper La Provence has organized a pool asking its readers to vote the best site in Provence. Among the most wonderful locations in this awesome region 32 has been selected to participate in weekly duel. Each weeks two places where in a contest against one another. There were 16 contests on the first week, then the quarter finals and so on until the grand final on August the 1st. This remarquable site is nestled between Cassis and Marseille. It offers to the hikers a stunning landscape with limestone cliff. The word Calanque is believed to come from an Occitan word meaning inlet. They can be considered as mediterranean fjords. A calanque is a steep-sided valley formed within karstic regions either by fluvial erosion or the collapse of the roof a cave that has been subsequently partially submerged by the sea. 2 million people visit this site every years. There are more than 40 hiking trails totalizing 145 km. Pure mountain air and 300 days of sun every year, the thermal station of Digne les bain offers you all the condition for a pleasant stay whether you are a patient or a tourist. Located 650 meters above sea level, the station enjoy an especially sane air, most dust mite doesn’t survive on those heights, this is why there is almost no children suffering from asthma in the department of Alpes de Hautes Provence. The Arles amphitheatre is the 20th largest among the Romanian period amphitheater. It has the form of a 136 meters long and 125m large ellipse, larger than the one of Nîmes. This magnificent building has been erected 2 000 years ago and is known all over the world. This is the most visited place in the city. Each year, half a million visitor gather from Easter to mid-September for the bullfigthing season. Lumières d'automne sur la montagne Sainte-Victoire (Provence) from Ulysse, la culture du voyage on Vimeo. Montagne Sainte-Victoire is a 18km long limestone mountain ridge. It peacks at 1 011 meters. This mountain has gained world fame after it became Paul Cezanne favorite subject. This beautiful place is located in Bormes-les-Mimosas. A neighbor town of La Môle, where sits Provence Villa St Julien. It is called Fort de Brégançon, an ancient military fort. The Fort is very well-known in France, since it has been purchased in 1968 by the presidency of the French republic. It has been used ever since as a summer residence by the presidents. The facility has its own private beach. The place is sometimes used for diplomatic meetings as well.